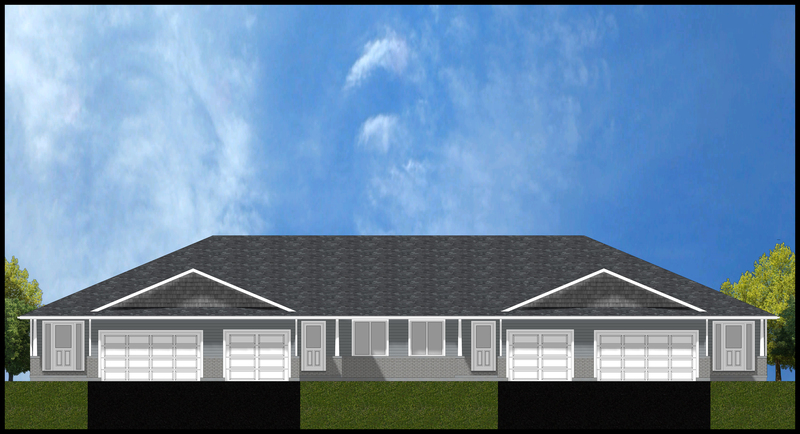 The Killarney Model is a narrow bungalow style, freehold end unit townhome. The home has a charming covered front entry. The front door opens into a spacious entry foyer. The foyer is completely separate from the rest of the house, creating a sense of privacy when people knock on the door. The angled walls create a natural flow around the corner and into the main living space, and offer a space for an unobtrusive access to the garage. The stairs are situated in behind the garage with a linen closet. Just passed the stairs and tucked across from the kitchen, there is the main bathroom at end end of a short hall with the closet laundry across from the door to the second bedroom. The galley style kitchen features a large peninsula with a flat bartop, providing ample countertop space. The dining area is as wide as the great room, offering an opportunity for many furniture layouts. A grand patio door off of the great room leads to a rear deck with a privacy screen from the neighbouring deck. The spacious master suite entrance is situated between the dining area and great room. 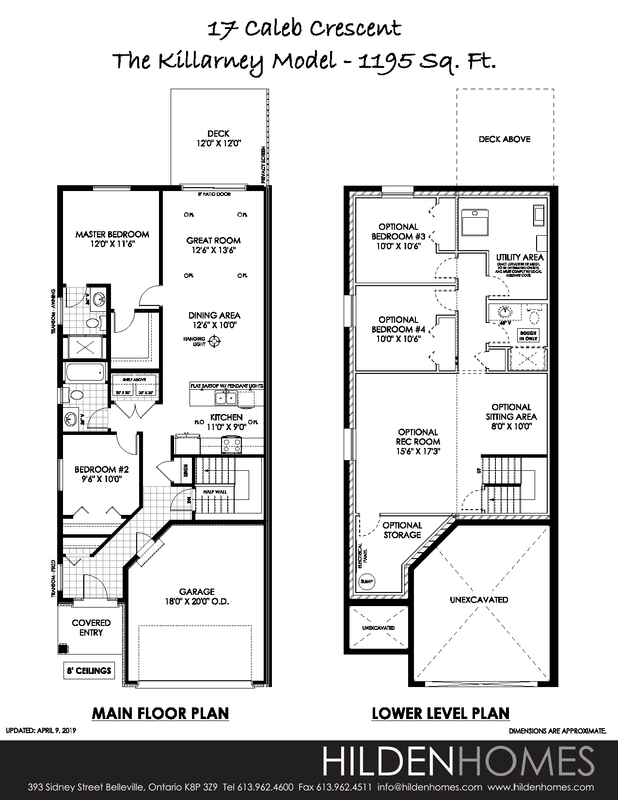 The master suite features a large walk-in closet and a private ensuite. The lower level remains unfinished.